The Earthen Forming System (EFS) is a recently patented radical innovation developed by the founder of Ecoheal that reduces the labor costs of cob building by 30 fold, thus finally bringing earthen building costs below the cost of conventional building. Ecoheal has 3 Microhome designs that are based on “healing home” principles that mimic nature’s wisdom, promote health, protect the environment, and enhance social connection with affordability at their core. This residence, completed in 2013, is a complex yet integral living design well-suited for a family of 6. Built from clay wetted and compressed straw. this unique design is a fusion of spatial science, ecology, sacred geometry, and health and was featured in Green Builder Magazine in 2014. The Meditative Hut, completed in 2014, constitutes the first application of the Earthen Forming System (EFS) to address the burning questions of "Why earthen building still costs on average three times the direct cost of conventional building?" and "Why is it so difficult to evaluate the thermal insulation value (R value) of cob?" The Ecoheal Center is a 1500 sq ft, 12-sided earthen building completed in the spring of 2017. 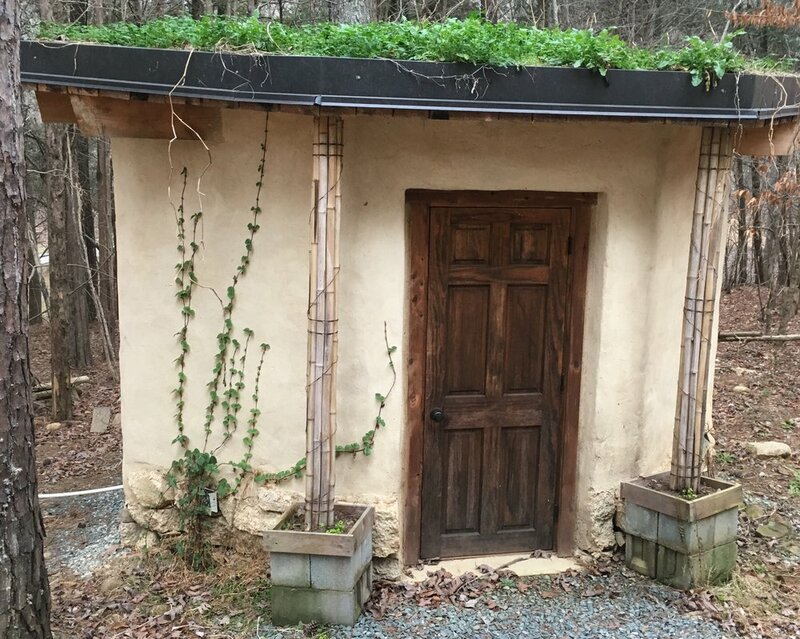 Being the first commercial code-approved earthen building in the United States, the Ecoheal Center is an educational hub for those seeking an economic, practical, and efficient way to build naturally.